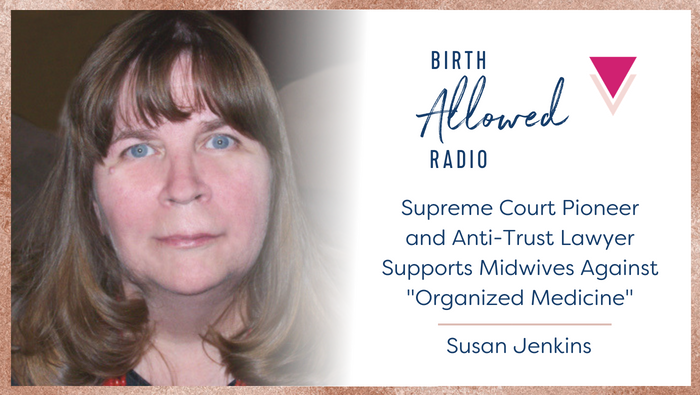 In this episode, Cristen talks with probably the most experienced midwifery law lawyer in the U.S. about why midwives need lawyers, as well as the David vs. Goliath struggles of families fighting hospital and medical lobbies for the right to maternity care outside of hospitals. BONUS: That time she was one of the first women lawyers to argue (and win!) a case before the U.S. Supreme Court. Susan M. Jenkins is an attorney and birth activist. A graduate of Columbia Law School and former staff attorney at the Federal Trade Commission, Susan has represented individual midwives and other health professionals, as well as their professional associations, in her private law practice for more than 30 years. She presently serves as legal counsel for the Big Push for Midwives, which is a national coalition of state grassroots groups that are working for licensure and legal status for community-based midwives; and the California Association of Licensed Midwives. 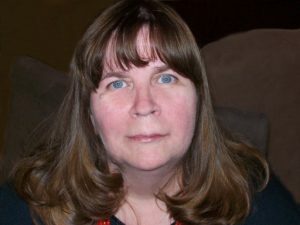 She is a member (and informal professional mentor) for the recently-organized Birth Rights Bar Association and an advisory board member of Birth Monopoly. Thanks for airing this! Can’t wait to hear the whole thing, bu….What are all the *sounds*..clicking,staticy when Susan starts talking/??? Cindy, I am not totally sure what that was but I suspect my own faulty headphones. I edited it out as best I could–didn’t want to toss the whole episode because of those noises. Her story about the Supreme Court is the best!